A COMPLETE MICROFIBER MOP SYSTEM : What’s in the BOX !! (1) package box with handle (2) of our quality microfiber mop pads (one for daily use, one for deeper clean), (1) Adjustable Sliding plate (1) durable ergonomic telescopic handle (1) Heavy Duty Aluminum frame. (1) Handy Booklet Manual. and (1) Multi purpose Scraper. 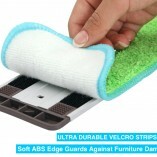 Our microfiber mop pads are machine washable and can be reused many, many times Wet or Dry – Ideal for Office & Home. 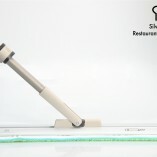 ADJUSTABLE PLATE FOR HARD TO REACH AREAS : There is a reason many Home and Office cleaning services companies have replaced their microfiber mops with Silva’s. 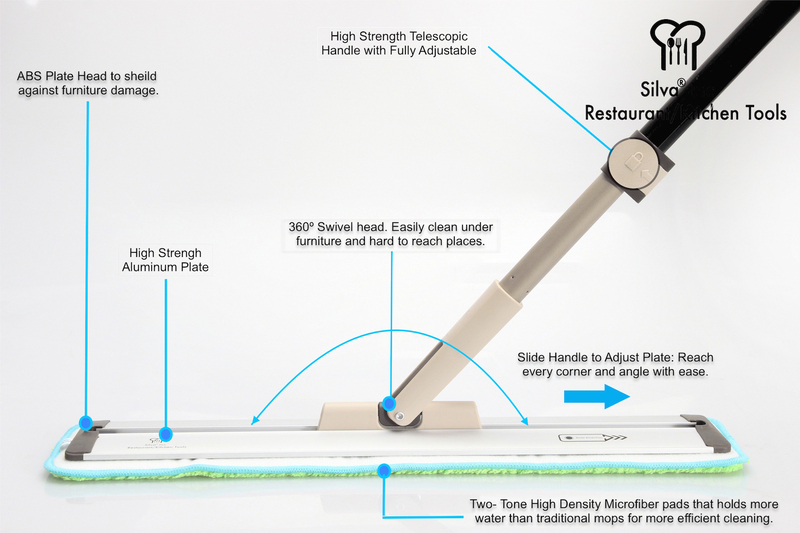 Our patented adjustable plate system allow mop plate to be moved by adjusting handle to side. 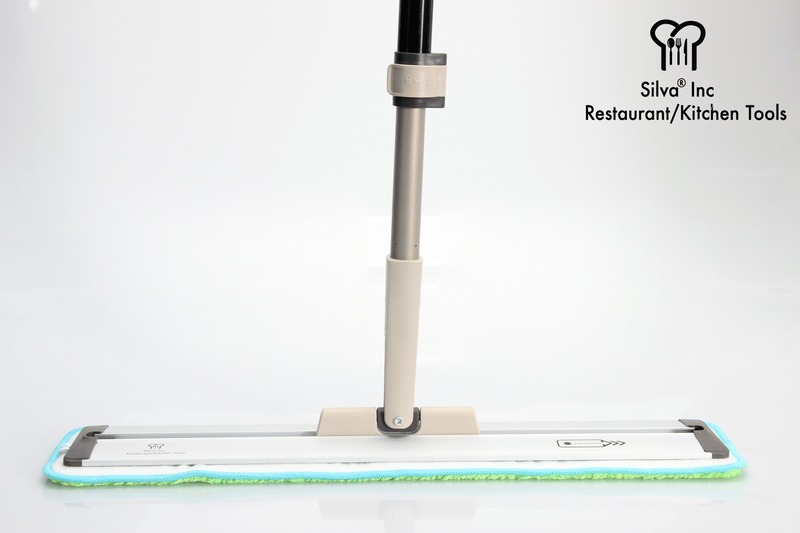 This game changing feature makes cleaning hard to reach places easier and keep bending to a minimum and saves time. 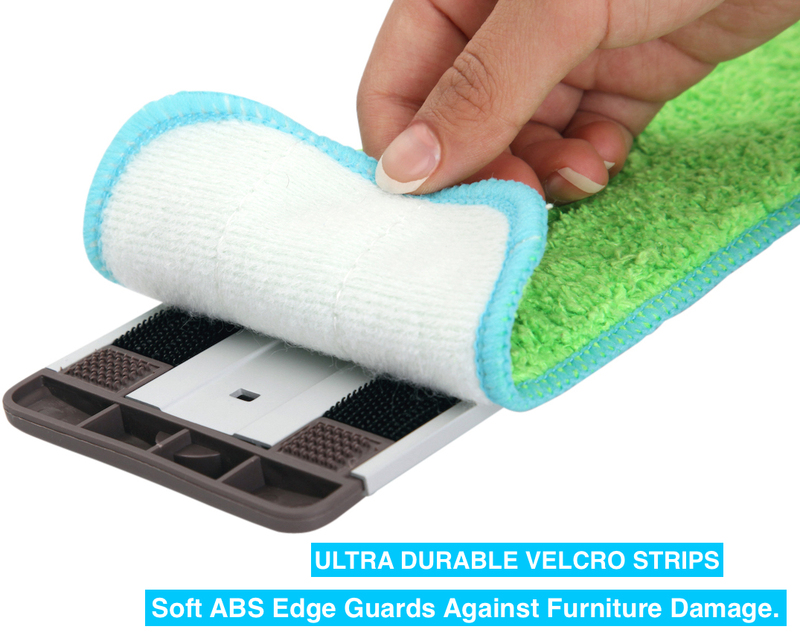 CLEAN HARD FLOORS WITH EASE: NO SLIPPING, NO HASSLES :Ultra durable velcro strips hold microfiber mop pads in place, so you can focus on cleaning, not stopping to fix the pads. 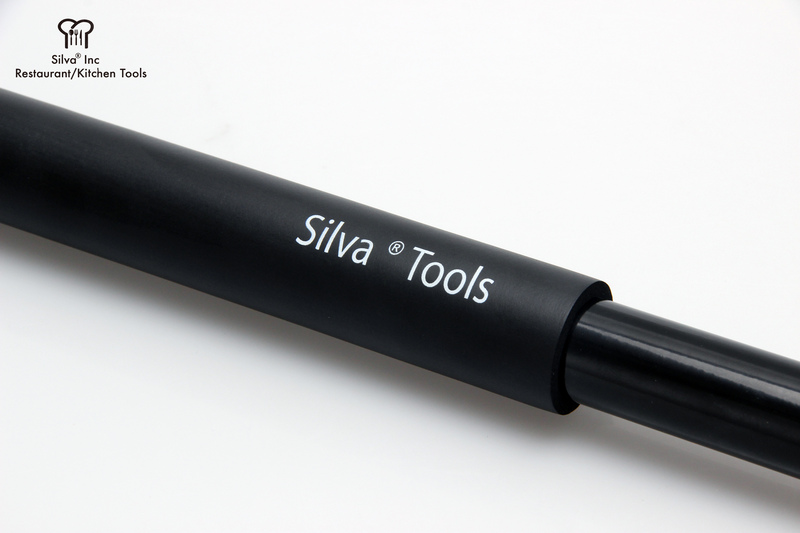 360º SWIVEL & ERGONOMIC TELESCOPIC HANDLE: Adjust to fitting a comfortable height between and secure it with the lock clip for up to 54 inches. Not only does it fold easily for easy storage it’s also designed to hang on your closet hook. 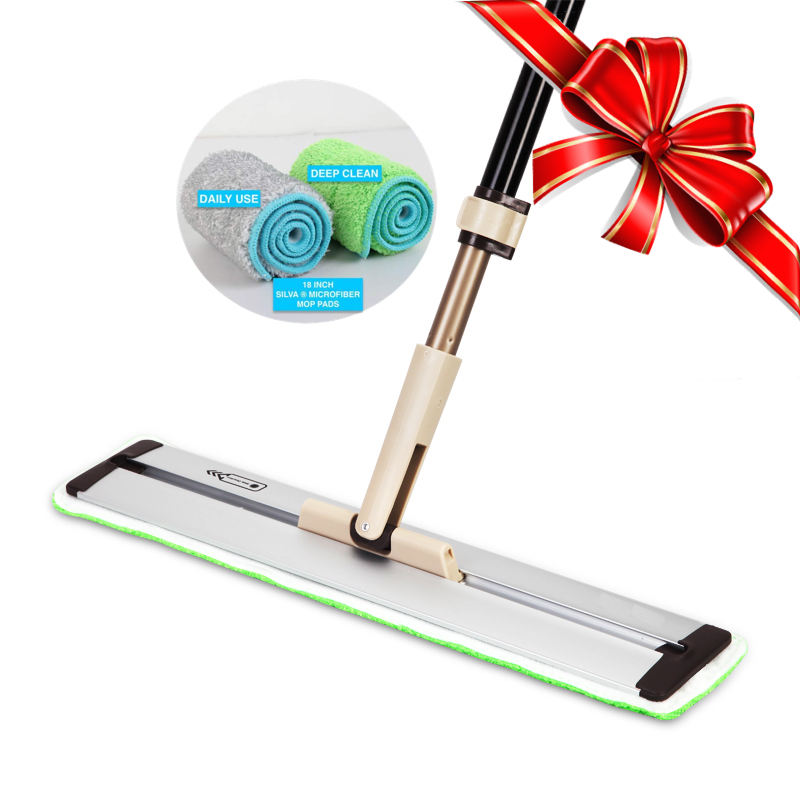 AWESOME HOLIDAY GIFT : Clean all of your hard floors with no mess and in very little time with the best microfiber dust mop on Amazon! 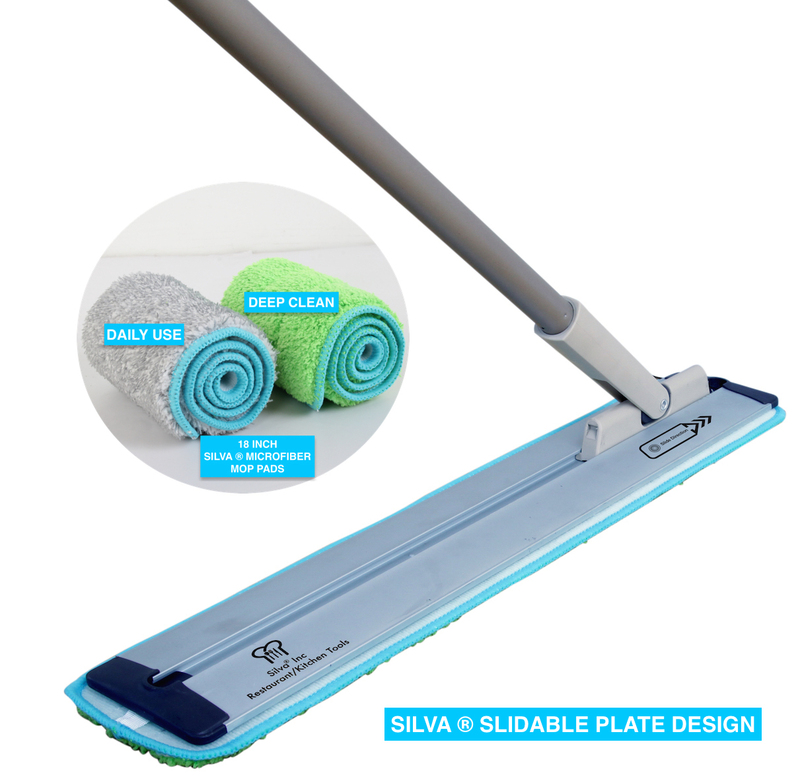 Order the Silva ® Microfiber Cleaning system with 30 Day warranty today. This makes for a great gift for all occasions. My husband and I have a cleaning company. 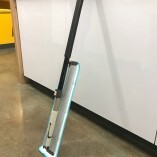 We had the opportunity to test and review this awesome microfiber mop system and let me tell you, this is a game changer. This the gold standard. We are waiting to be approved for a bulk order to replace our entire line :). Even the kids love it. They fighting over it. Love it . 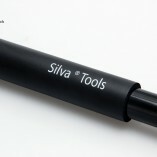 This is 3rd Silva Product and my oh my they are exceptional. I was only of the lucky ones, early birds. This is my christmas present to myself. This product is amazing! I don’t know what I would do without it. Shipping is quick and the product is great quality. What more could you ask for? The mop makes me want to clean my kitchen! 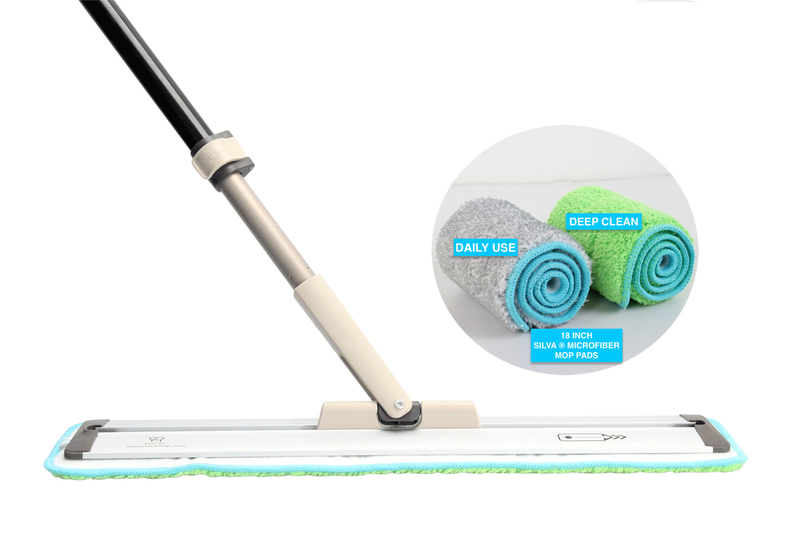 I’ve had many microfiber mops and this mop is incredible! It’s better than the Bona system and really digs in with the amazing microfiber pads. 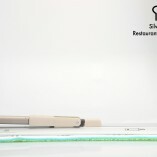 I even tried the swiffer products and they do not compare. This is a great product for an elderly person. At my age it is hard to mop my kitchen floors but with this I can mop with ease. I love it! Great product! Makes cleaning my hardwood floors efficient and easy. The microfiber pads pick up everything!!! I love it! 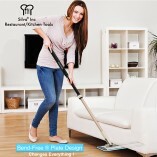 If you want your kids to help you clean your house, get this mop! It is so easy even they can use it. I received this mop as a gift. At first I wasn’t too excited about it but I quickly learned that it was a necessity in my home. With dogs and kids running around and making a mess, clean up has never been so easy. I mop my floors, take off the cloth, throw it in machine and I’m good to go. I also am saving money because I don’t have to run to the store when I’m out of cloths. I ordered this mop and mistakenly left it where it was easily accessible to my kids. They messed up one of the pads but customer service sent me a new one. Thank you so much! Great product! Just received it today and used it immediately. Almost my entire downstairs is hardwood, and it worked like a dream cleaning up all the dirt and dust that accumulated moving into a new house and unpacking all those boxes! 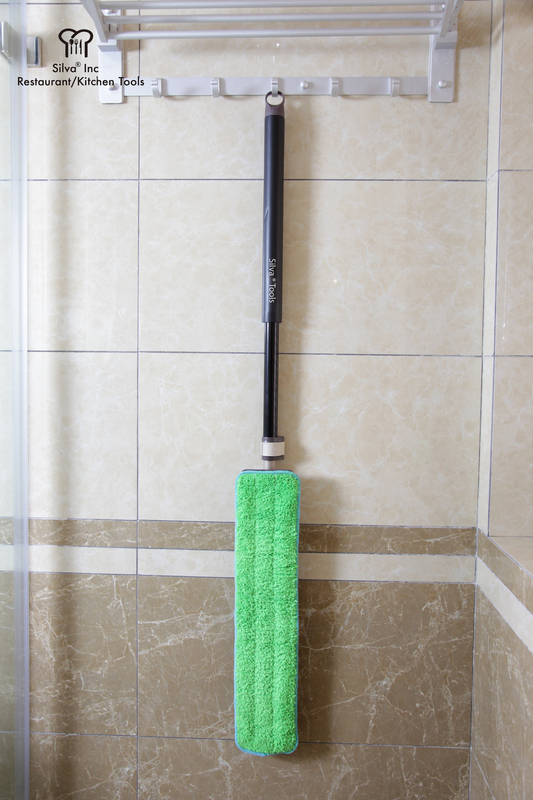 The large size of the mop head and microfiber pad made quick work of a large space. So as a mother of 7 and with a baby all was on my hip this is the perfect tool for my it’s so easy to use and the size is much bigger then what I had so I get done faster.really really like it!!! We have installed tile flooring in our family room and most of the main floor. Because of the way this angles this works great for picking up pet hair and dust under furniture. Very versatile in corners once you get the hang of it. This thing is pretty awesome . 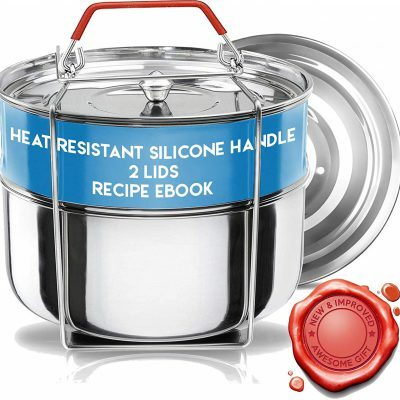 Five Stars!Bought this product recently and I love it ! 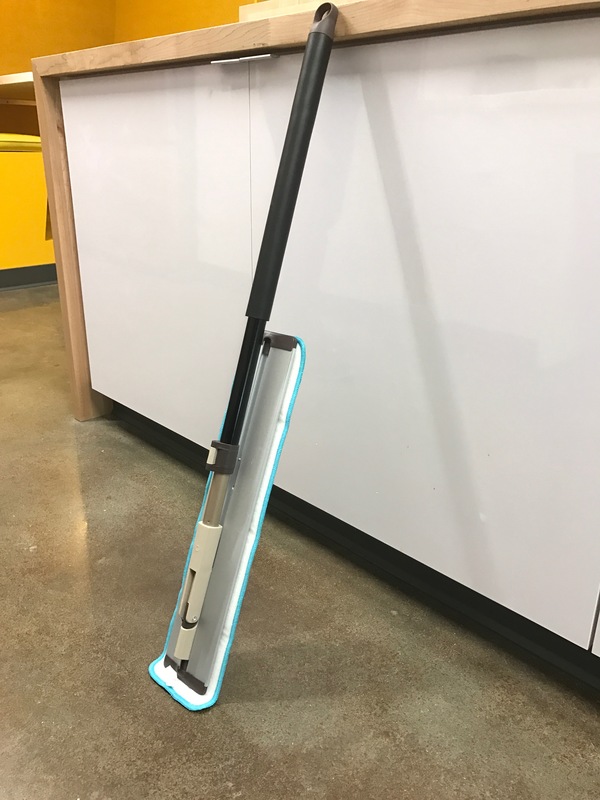 I purchased a cheaper microfiber broom locally and wasn’t impressed. This broom is twice as good. Delivered great quality as promised. Opened this immediately! Super happy after the first time using this! QUICK AND EASY! Comes with 2 pads, one for every day and he other for more heavy duty cleaning! 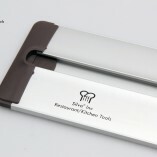 He handle is ergonomic and aluminum. 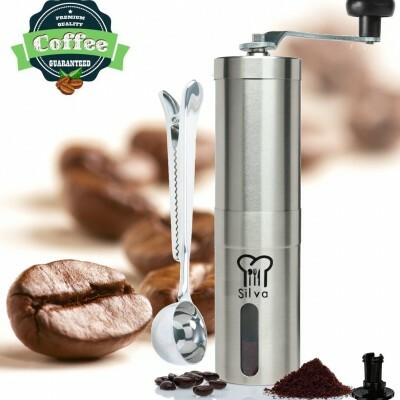 The swivel is 360 and works like a charm! IN LOVE that the handle can be moved to the other end to reach further under furniture etc. 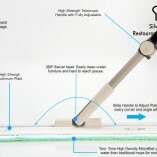 The adjustable rod makes this mop great for w everyone to use. Plus the pads are so effective in cleaning. 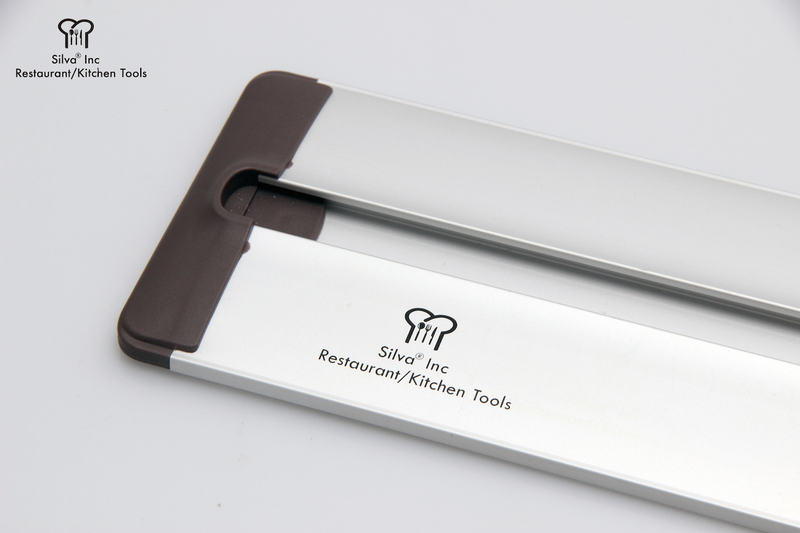 Not to mention it’s sleek design. 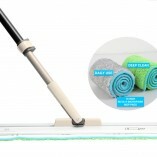 Overall it’s superior to any microfiber mop that I’ve had! Does the trick for under the beds and furniture. haven’t washed it yet but looks like this will work. I have had several Swiffer brand duster/mops. This beats them hands done…actually, no comparison! I have zero carpet in my house, it’s either stained concrete or ceramic tile or brown power bag flooring. This mop makes them all shine!! GREAT PRODUCT! 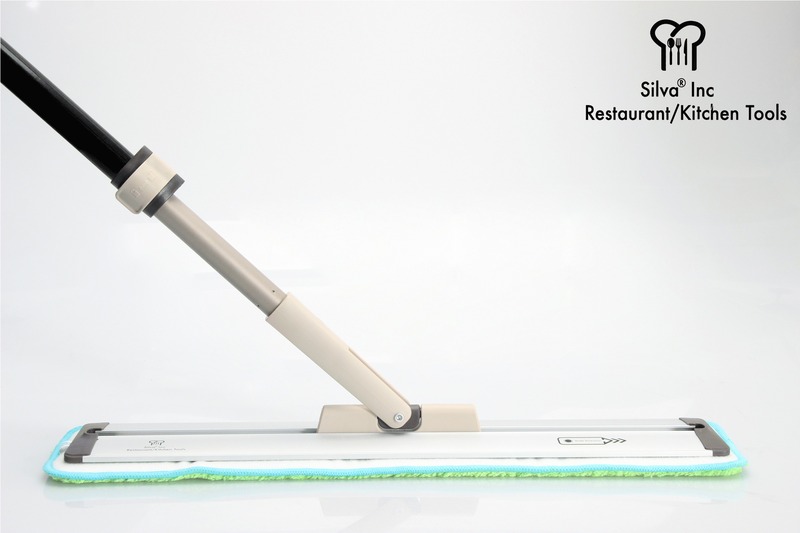 We use a Swiffer Mop because of how portable it is. Turns out it doesn’t clean as well as I thought. This product works so much better!!! Love it! 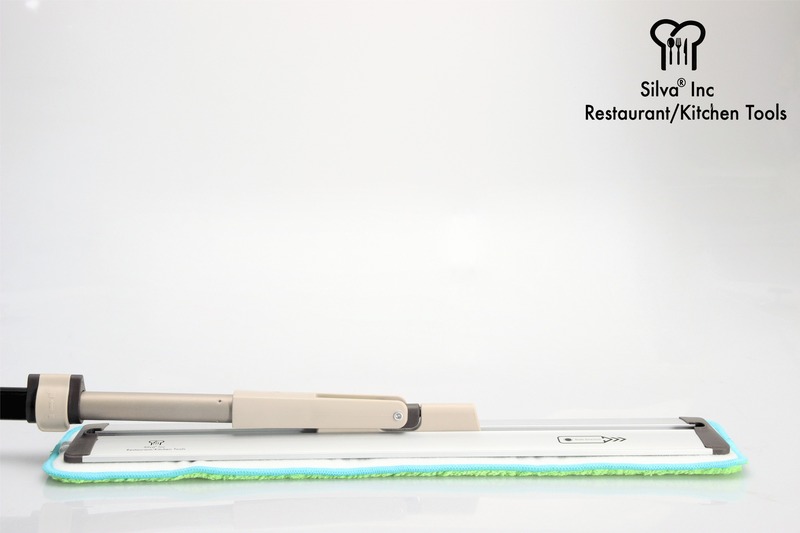 If you want a quality cleaning unit, this is it! So for the best i have seen! We are about to move to a bigger house where it has all hardwood floors so I was looking for a universal cleaning system that was going to be easier to use. 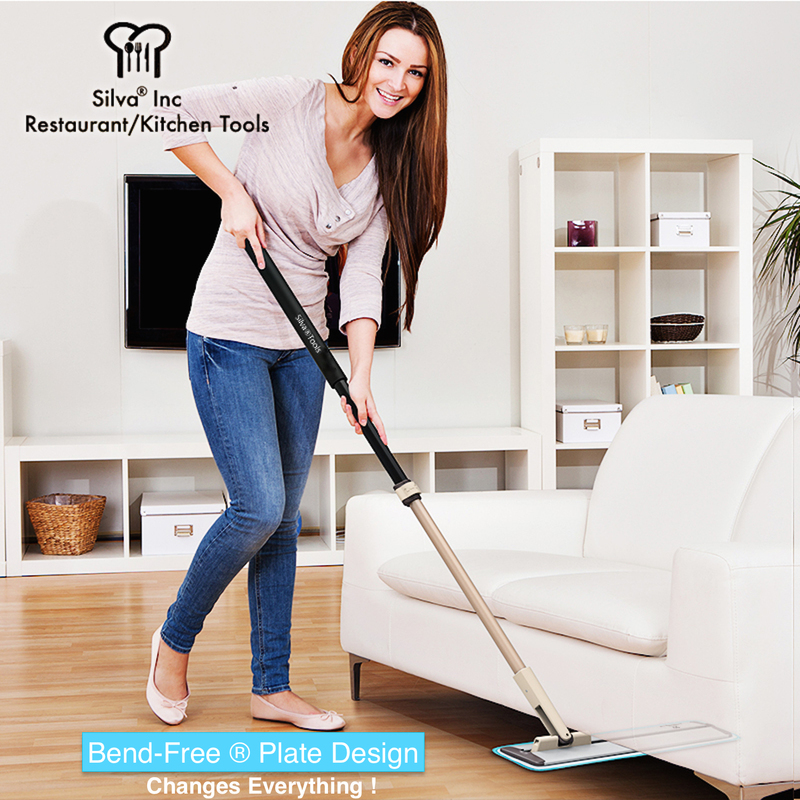 The head on a swiffer is small but this product has great size and makes cleaning a breeze. 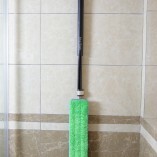 This mop is good for wood and tile wet or dry just like a Swiffer! but the bigger head offers more clean for less effort. I used the grey [daily use] on my walls! It made cleaning the walls SO MUCH EASIER! When I was done I just threw the pads in the washing machine and let them air dry! Great product! I will most definitely recommend. 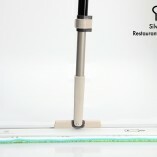 The slidable function was great for getting under the cabinets and fridge since the mop handle itself wasn’t in the middle to get in the way! The microfiber clothes really stuck to the velcro on the bottom. During the cleaning process, they didn’t come off once or bunch up! Awesome mop! I love the design! Fast delivery! Quality product! Pretty awesome quality. Looks good too. Getting another as a Christmas gift. Mom would love it. I have linoleum flooring and hard wood flooring. I thought this product would only work for my hardwood but it also works great on the linoleum. Great mop! Worth every penny.